Open a bank account. Lenders may want to see evidence of consistent savings. Open a credit card with no annual fee, and then leave it open. This helps establish how long you have been creditworthy. Consider charging one recurring bill (such as your phone or electric bill) to this card every month to maintain a good payment history without accruing a huge balance. Only apply for new credit cards when you need them. Having one or two fee-free cards in your wallet helps your credit mix and increases your total available credit, which is great, but . . .
Make sure you keep the balances on your credit cards low. 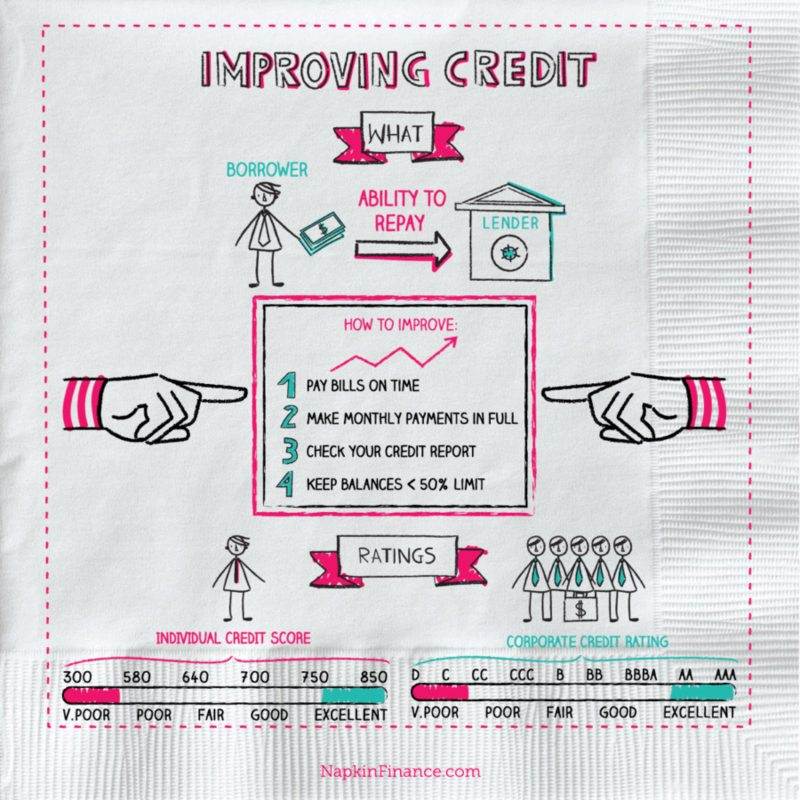 If you have a lot of credit available to you but you don’t use it, your Credit Utilization Ratio stays low, which is fantastic for your credit score. If you open two cards and max them out, however, your score will seriously suffer. Always pay all your bills on time. If you need to apply for a loan, shop around for competitive rates, borrow as little as possible, and always make payments on time. Consider asking for a cosigner with an established credit history to get lower rates on large loans. Secure a steady job. Lenders may ask for employment information. Be vigilant about payments, and set yourself reminders to get them in on time. Use online banking tools to automate your payments so that all your bills are paid as soon as your paycheck clears each month. Careless mistakes can affect your score for a long time.